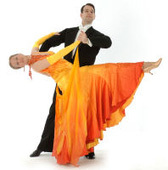 The Southern Universities Dancesport Contest involves the formal teams (and other competitors) from universities in the southern part of the UK. This grouping includes Cambridge. Saturday 11th February 2017 in Talybont Sports Village, Cardiff CF14 3UX. Saturday 14th February 2015 in Farnborough Leisure Centre, Farnborough, Surrey. Saturday 16th February 2013 in Talybont Sports Centre, Cardiff.